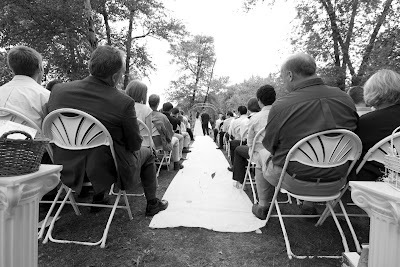 Danny & Emily were married on a cloudy day at Riverview Island in Eau Claire on July 18, 09. Danny & Emily wrote their own vows. I personally love it when a couple writes their vows because to me, it personalizes the ceremony. I'm all about personalizing the ceremony as much as possible! It's your OWN, make it just that! Danny has an amazing gift of forming words and speaking elegantly, it was definitely a tear filled moment for many guests. They opted out of a unity candle and instead did a unity planting. I was excited about this, it has much symbolism in it. The planting and watering takes time and work for it to flourish but when it does, and the roots are grounded, it is a beautiful site. As they walked down the aisle the guests lined them with small bubbles. It was magical. Emily has a knack for the small details and her decorations at the reception site, the Metropolis Hotel, were very unique and cool! Instead of the traditional cake, they got an assortment of pies from Main St Cafe. They did an amazing job and the pies were a HUGE hit! 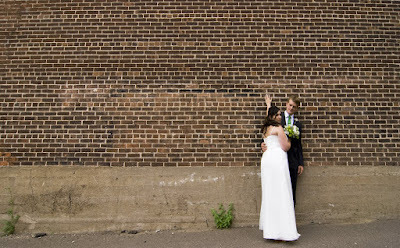 I love when brides think outside the box and Emily was one of those brides which was a ton of fun for me! Can you guess what their main theme of the wedding was?! 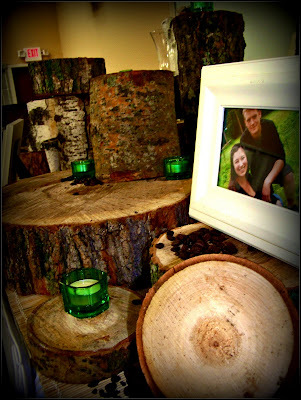 The pies sat on these tree logs that Emily & Danny cut up! It was so cool! 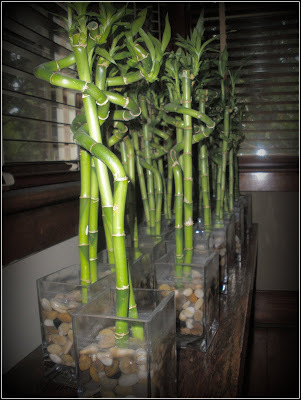 The baby bamboos that graced each table at the reception. Emily & Danny--much love to you both!